I finally found the time to upload some photos and highlights from my trip to the beautiful Danish capital Copenhagen in October. Read some of my tips on what to visit and experience for a 3-day stay in this Scandinavian gem. If you’re travelling on a budget, AirBnb would be the most suitable choice, if you’re looking for a private room/apartment. That’s actually what we did but it wasn’t cheap since the city is quie expensive itself. Nevertheless, it was still more affordable than a hotel. We stayed at a private one bedroom apartment in the hipster neighbourhood Nørrebro, which is super convinient and close to the city center and actually hosts some really cool spots itself like the Superkilen park. We paid around 50 euros per night for the whole place and in total we stayed 3 nights. Overall, we had a very pleasant stay despite the fact that we never met the host. If you’re more adventureous or travelling alone, probably the best option would be Couchsurfing. I’ve got friends that stayed in Copenhagen using this platform and all of them told me that they had a great time as their hosts were super hospitable and helpful, taking them around the best hotspots and local places around the city. The Little Mermaid Statue – I’m only sharing this because I really don’t understand why this sight is so popular and is always mentioned in travel guides for Copenhagen. I didn’t find it impressive at all, plus it was super crowded as Asian tourist groups were swarming the place. If you’re in town just for the weekend – don’t bother..
Copenhagen Street Food! Definitely my favorite place to eat because of the wide choice available but my favorite was the cheeseburger with sweet potato fries! The place is located just accross the water from the Royal Theater, very close to the opera and Christiania. It reminds me of the Foodhallen in Amsterdam, mostly because of the chill atmosphere and the variety of food choices. Plus, my favorite modern art museum (Contemporary Copenhagen) is located just next to this food place, so don’t miss out! Art – as I already mentioned, I definitely recommend Copenhagen Contemporary Museum for modern art. The exhibitions and installations that we saw were pretty cool, especially those involving light, so check out their programme during your stay and if you like it – go visit! Design – we also went to Design Museum Danmark, which exhibits minimalistic Danish design, which I love. The museum itself is not super appealing to people that are not so into this field as there are a lot of chairs, furniture, clothes and what not. Christiania – this autonomous district is a must-visit but first read the historical background. There’s a lot of art, music and freedom involved in every corner, which is definitely very interesting to see. Some people are fascinated by the free trade of weed here, which however doens’t personally impress me as I’ve been living in the Netherlands for the past couple of years. Anyways, whatever sails your boat! Tivoli – this attraction park is a pretty popular place amongst tourists but we didn’t manage to visit it as it was closed the day that we were closeby, plus the weather was pretty rainy, so we thought it wasn’t worth going. I guess I shall fix this mistake next time..
National Aquarium Denmark, Den Blå Planet – the aquarium that hosts a ton of interesting sea creatures. And the building itself is amazing, so I was pretty sad that we didn’t find the time to visit it as it was a bit further from the city. Overall, Copenhagen is an amazing city and I really loved its culture, vibe, design, style, architecture! Of course, if you’re planning to visit, I think the best period would be in the summer as the rest of the seasons are characterized by gloomy and rainy weather (typical for that part of Europe). That’s why I would love to come back in the summer! 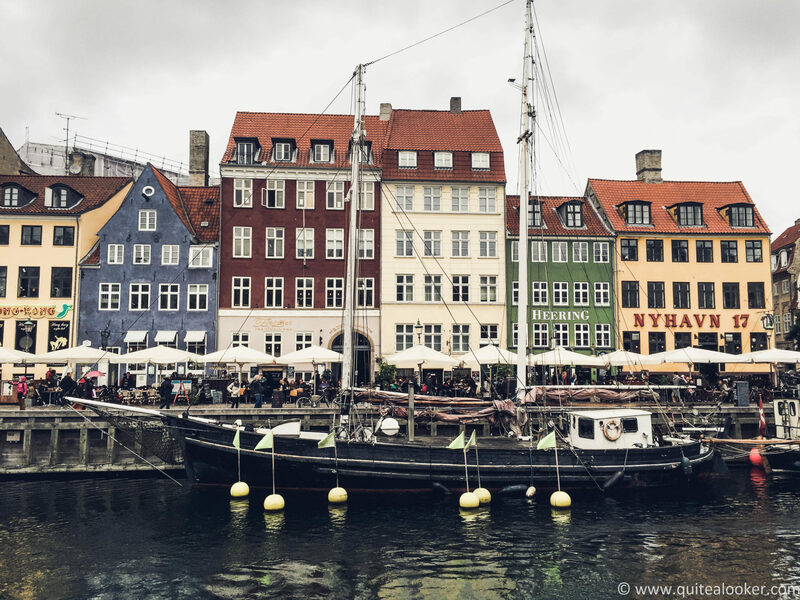 Another point, it’s not the most on-a-budget destination as most of the Scandinavian countries are, but its culture is so diverse and so much more different that the rest of Western Europe! I would love to read your opinions and experiences, so I can collect more ideas for my next visit!